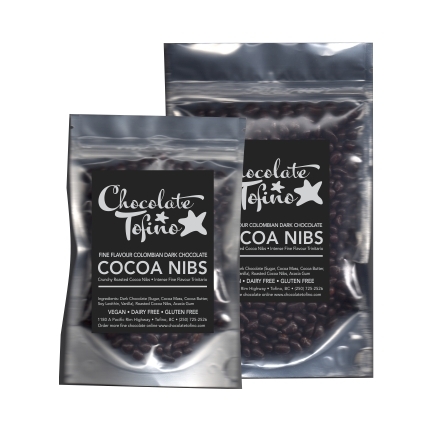 These organic Colombian grown Cocoa Nibs are roasted to perfection then rolled in Dark Chocolate! Expect intense chocolate flavour from these tiny little bits! It's sometimes tough not to eat the whole bag when it's left out in the open. Definitely store these in the cupboard, out of sight. These are vegan, dairy-free and gluten-free. Available in 100g or 200g pouches.